From 2008-2018, Anthony and Gina Pierro had a son in the Big Red baseball lineup. Their oldest son, Anthony, played from 2008-2011, then came JoJo from 2009-2012 and Bryan from 2011-2014. The youngest son, Gino, played from 2015-2018. During that time frame, the proud Pierro parents attended 299 Big Red games, with 226 ending in victory. 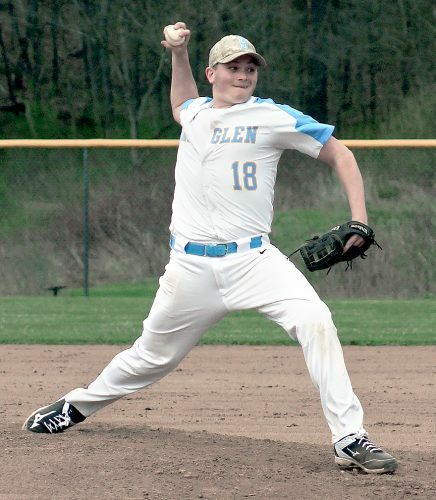 Prior to Saturday’s season-opener against Claymont, the Big Red baseball program honored the Pierros for their patience and support over the years. The parents also were thanked for having four outstanding sons. 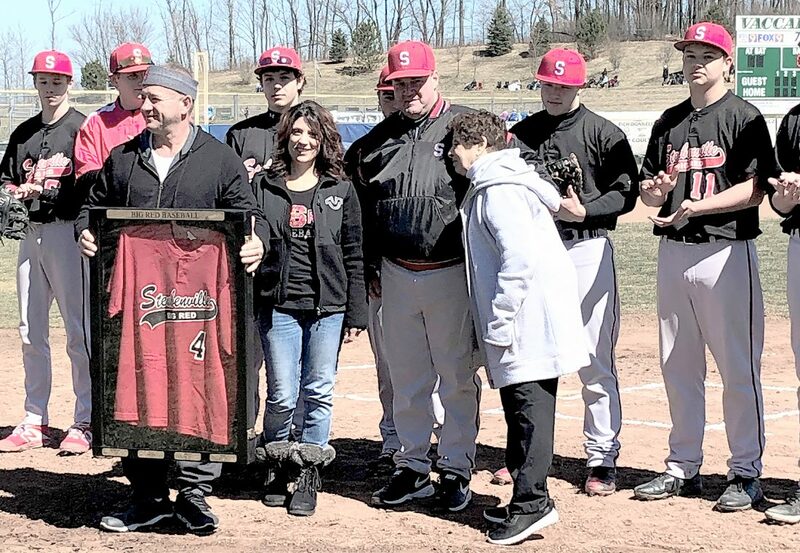 The Pierros received a jersey donning the number four. Anthony and Gina are shown with the jersey. Big Red coach Fred Heatherington is shown next to Shirley Pierro, Anthony’s mom and the proud grandmother of the four former players.